Hi, I am looking for a laptop (below 1.9 kg) that has RTX GPU and is silent. Can't stand those jet engine noise. Is there such a laptop yet? Hardware Unboxed described the fan noise levels as being "respectable", although that UltraBook review site described it as "running hot and noisy with games", though they were also testing a 2080 Max-Q variant, which likely puts out more heat. Ultimately, I don't think you are likely to find a gaming ultrabook with decent graphics hardware that is "silent", at least not when gaming. Wearing a pair of over-ear headphones might help with that though. The Thinkpad X1E with Nvidia 1050 GPU is 1.8kg. Many users have reported jet engine-like noisy fans at the beginning but some people reported that after a BIOS update, it became not so noisy. So, even if Lenovo can make a X1E Gen 2 with RTX Max-Q GPU, the noise level will be higher? You need to tone down the requirements a bit, you can't have a system with a gaming video card and CPU to drive it, along with the heat and space they need, and at the same time have it light and silent. Once you start using the system for actual work, the fans will ramp up and you will have noise. If you want a silent system, need one without a gaming video card in it, or a high spec CPU. The requirement are oxymorons, unless u can defeat the law of physics. Hard running=hot=needs to vent=need big fast turning fans. At least with a desktops, u can throw in a 10 LB heatsink and large liquid cooling, but there goes your 1.9kg. 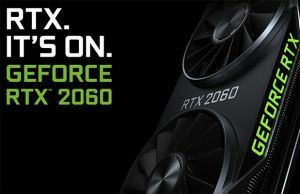 So in conclusion, the thermal of RTX cards are worse than that of 1050 Max-Q? Max-Q are slower cards optimized for lower heat and noise. I would not look for a main system for gaming with those cards in place of a bit larger and heavier one with better specs and cooling. Think about what you are really looking for, light/small or performance. Even many basic business laptops with mainstream CPUs and no video cards have issues when they are made small, the CPU can never ramp up to full speed, fans run loud. I have a powerful workstation with RTX 2080Ti already. I just want a quiet lightweight (below 1.9kg) on-the-go laptop with 4K screen for light prototyping of CUDA programs. Interesting review of Ultrabook gaming laptop by Linus Tech @Utube, search for "gigabyte level gimmick." Doesn't mention weight or noise but does say thinner than your typical gamming notebook.